Last week Google unveiled a breakthrough project that could boost solar panel installations across the States. It's called Project Sunroof, and it lets you instantly see your home's potential for generating solar energy -- including how much money you could save every year. Your roof isn't the only part of your house that can generate energy -- last week researchers debuted a revolutionary new SolarWindow that could produce 50 times more energy than conventional photovoltaics. In other energy news, India made headlines by unveiling the world's first 100 percent solar-powered airport; scientists developed a new artificial leaf that uses sunlight and water to produce hydrogen fuel; and San Francisco broke ground on the world's largest hydrogen station. What is Apple cooking up next? It's called Project Titan, and it isn't an iPhone or laptop -- newly released documents suggest that it's a self-driving electric car. Meanwhile, Aston Martin is taking aim at Tesla with plans to launch an 800-horsepower rival to the Model S within two years. The Prius is the best-selling hybrid car of all time, but it hasn't received a major redesign in almost seven years. That's set to change, as Toyota is planning to unveil its next-gen Prius in just a few weeks. What if your car was entirely powered by solar energy? That's the idea behind the Immortus, an electric sports car that could drive all day using the power of the sun. And a solar-powered autonomous research ship is set to cross the Atlantic by the year 2020. Have you ever wanted to fly the Millennium Falcon or explore a cantina on an alien world? 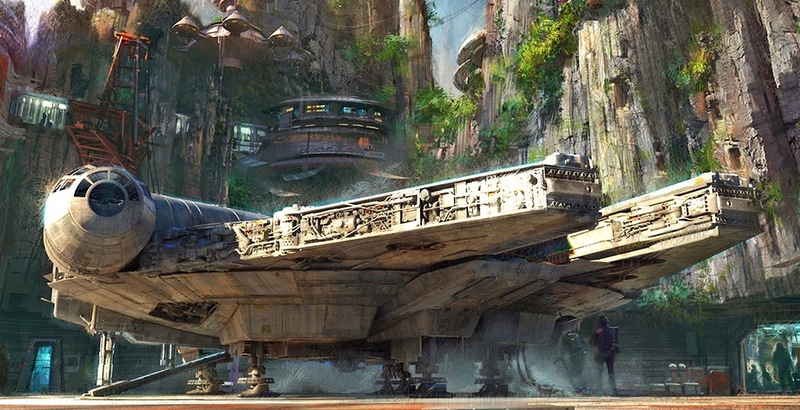 You're in luck -- because Disney just announced plans to build two **** new Star Wars parks that will make your dreams come true. (If you can't wait that long, check out this amazing Star Wars speeder bike that the world's best dad whipped up for his little Leia.) In other design news, we showcased plans for an incredible glass pool suspended 115 feet in the air that lets you swim through the sky. Architecture firm BIG launched a Kickstarter to build a steam ring generator atop the world's cleanest power plant. And we love the Podzook -- a tiny spherical office pod that fits into any backyard.